Journey to the better smile! Notting Hill Dental Clinic & Surgery is a well-established and reputable facility conveniently located in the heart of Notting Hill Gate, Central London W11. The dental clinic was established in 1948 and since then, we have been offering best quality dental care and innovative dental treatments. Our dental surgery and clinic have been updated and modernized with the top-of-the-line equipment and latest technological advancements to keep up with the current trends and serve our patients most effectively. We strive to provide our patients with the best dental services to help them avoid pain, enjoy highest level of aesthetic appeal and restored oral functions. We have the best dental equipment and materials that deliver safe and consistent results. We use pioneering techniques and non-invasive practices that are kind to your teeth and gums and offer long lasting and artistic results. Our staff is highly trained and professional and eager to help you at every step of the treatment; making your visits most comfortable and relaxing by creating a friendly and welcoming environment. Schedule an appointment for a pain-free smile now! 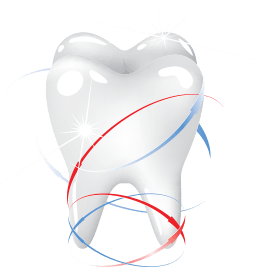 Notting Hill Dental Clinic & Surgery is the top rated facility in London that strives to make your dental experience most comfortable and relaxing. Dr Ghateh, one of the best rated dentist in Notting Hill is always pleased to welcome esteemed clients to our dental facility where we provide leading edge treatment for all types of dental issues. Customer care and patient satisfaction are our primary concerns and we work hard to provide best dentistry solutions for patients seeking highest standards of diverse treatment options available today. Every member of our team is a highly skilled and trained professional; dedicated to providing patients with the care and attention they deserve. We are fully prepared to put patients at ease who suffer from dental anxiety and understand how to handle them most competently for effective treatment. Our comprehensive set of treatment options ranging from traditional systems to revolutionary technology ensures that we have the best solution to your every dental problem. Our main focus is preventative and restorative dentistry and we work hard to give you healthy teeth and sparkling smile. We are registered with CQC – Care Quality Commission, the independent regulator of health and social care of England and maintain high standards of infection control in our surgery to offer safe and controlled environment for better treatment. Outstanding excellence in all aspects of dentistry combined with compassion and dedication helps us deliver ultimate care and results beyond expectations. Our dentists in Notting Hill are always courteous, polite, and treat all patients with the utmost dedication. We serve all your dental needs under one roof. We are proud of our ethical values and high-quality patient care and their well-being is paramount to us. Patient satisfaction is our topmost priority. We have a strict confidentiality policy. We have highly a dedicated team that believes in delivering exceptional dental care. We use the finest dental equipment possessing a high quality. We believe that our patients deserve ‘the very best’ so only experienced dentists and therapists are recruited who all come from reputable universities. Our surgery is equipped with the latest equipment. You will find it laced with all the needs of present times. We are committed in providing the high quality work and delivering outstanding dentistry at all times. We always involve our patients and deliver care that is patient-centered. "This practice is wonderful and all the staff are kind and courteous. Dr. Ghateh and his team offer very responsive and fast treatment, a skilled and highly professional approach and a lot of care and patience. His communications are excellent and he excels in making me feel relaxed and explaining the various procedures. His integrity and professionalism shine through all his work. Saghar is simply the best .I cannot recommend them more highly." © 2017 Notting Hill Dental Surgery. All Right Reserved. Website & Digital Marketing by Prollect5. Last updated: 23rd October 2018. Notting Hill Dental Clinic & Surgery has an overall rating of 4.8 out of 5 based on 35 Google reviews.